If I burn Video_TS folder to a disc, will it convert into a playable DVD? Have copied your favorite movie from your friend's disc on your PC and now want to watch it on your latest HD big screen TV? No worries as you can burn video_ts to DVD and play your files on a DVD player. Moreover, when you convert your video_ts to DVD, you have a backup of your videos on a disc. In the simplest terms, a VIDEO_TS is a DVD folder file that contains all the information and data of the DVD video. Short form for Video Transport System, a VIDEO_TS file mainly contains 3 types of files having IFO, BUP, and VOB extension. These 3 files are needed to play your DVD movies. VIDEO_TS.BUP - These files contain information related to the backup for the IFO files. These are exact copies and are used when IFO files cannot be read or become corrupted. VIDEO_TS.VOB - These files contain information related to video and audio data of the DVD. These contain the major part of the disc data including additional viewing angles, subtitles, and others. Since VOB files can be maximum of1GB in size, there are multiple of these files present on the disc. VIDEO_TS.IFO - These files contain basic information about the disc and VOB files like subtitles, chapters, language, DVD menu, and others. Usually, you can download movies in VIDEO_TS folder format from torrent or other similar sources on Windows 10/8/7. At this time, maybe you want to burn these VIDEO_TS files to DVD discs for playback on DVD player. In the following guide, I mainly introduce a professional VIDEO_TS to DVD burner to teach you how to burn VIDEO_TS movies to a blank DVD disc step by step. 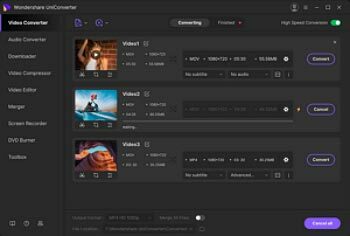 The tool strongly recommended here is Wondershare UniConverter (originally Wondershare Video Converter Ultimate). It lets you copy VIDEO_TS files to DVDs (DVD5, DVD9, BD 25 and BD50 included) in high video and audio quality. And there are lots of cool DVD menu templates provided. Also, this app allows you to convert VIDEO_TS to any other popular video & audio formats like MP4, M4V, WMV, FLV, MOV, MKV, AVI, MP3, M4A, and MWA etc. In a word, with it, you can play VIDEO_TS in any place you want. But here, I just teach you guys how to burn VIDEO_TS to DVD with the Windows version of this app. Convert Video_TS files to AVI, MKV, MOV, WMV and over 1000 video and audio formats. Burn Video_TS files to DVD/ISO/DVD folder and customize your DVD with free DVD menu templates. Download videos from YouTube and other 10,000 sites. Step 1 Import VIDEO_TS files to this VIDEO_TS to DVD converter. 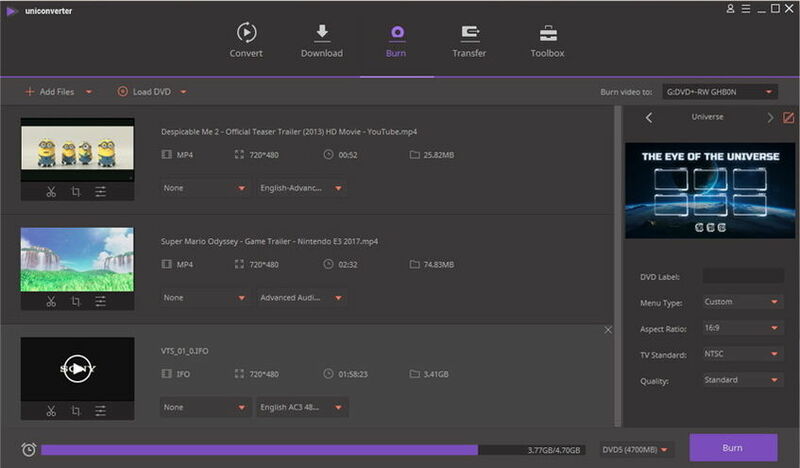 One is to click the Load DVD button to browse your computer, then select and import you wanted VIDEO_TS files to this app. 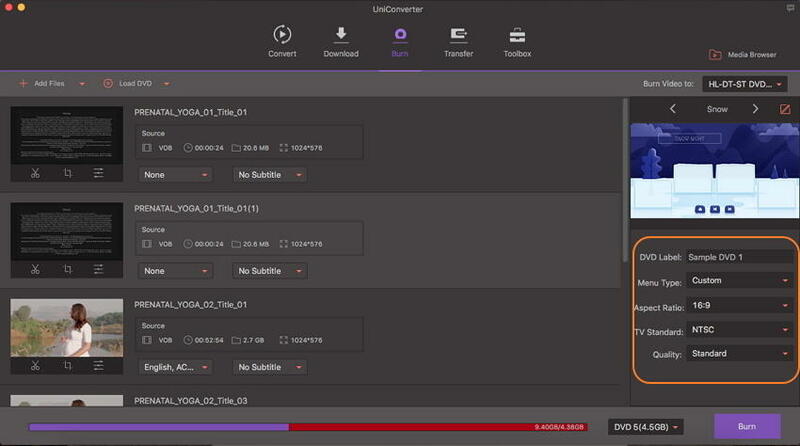 The second one is to directly drag your local VIDEO_TS files to this app for video conversion. Step 2 Edit Video_TS videos in Windows 10 (Optional). The software also provides in-program editing features to help you customize videos at ease. Just click the editing icon under each video clip to get a separate editing window, where you can trim video, crop video, apply effect, add subtitles and more. Step 3 Customize DVD Settings. Choose your desired DVD template from the right section of the programs, then set menu type, aspect ratio, TV standard and quality in the section below. Note: You can also add music files as the background music or .JPEG, .PNG, .BMP photos as the background picture while selecting a DVD template in the seperate window. Step 4 Burn Video_TS to DVD in Windows 10. After above steps, insert a blank DVD disc to your DVD burner and select DVD folder from the Burn video to list, then click the Burn button to start burning video_ts to DVD. When the whole Video_TS to DVD burning process completes, the DVD disc will eject automatically. Now you can freely enjoy it on TV with home DVD player right away. Wondershare UniConverter for Mac (originally Wondershare Video Converter Ultimate for Mac) is an excellent program for converting your VIDEO_TS files to DVD on Mac. The software allows converting all your files without any quality loss. The software comes with multiple free DVD template and themes to choose from. You can also edit the videos if needed and add your favorite video or image as a background. 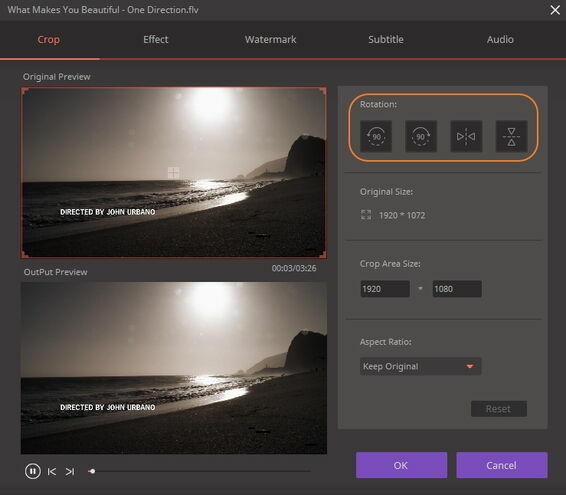 Video parameters with respect to quality, bitrate, and other factors can also be edited. 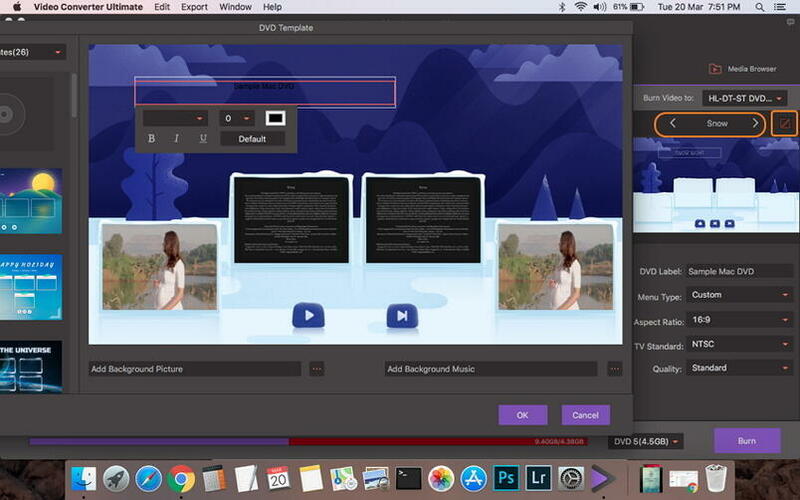 Fast burning speed, real-time preview, and intuitive interface are added features of Wondershare UniConverter for Mac (originally Wondershare Video Converter Ultimate for Mac). Step 1 Load Video_TS files to Wondershare UniConverter for Mac (originally Wondershare Video Converter Ultimate for Mac). Open the Wondershare Video_TS to DVD Converter for Mac. From the primary software interface, choose the Burn tab. Click +Add Files to browse and add Video_TS files present on your PC. Alternatively, if you want to add the Video_TS folder directly from your DVD, select Load DVD option. Step 2 Select DVD template for Video_TS to DVD conversion. 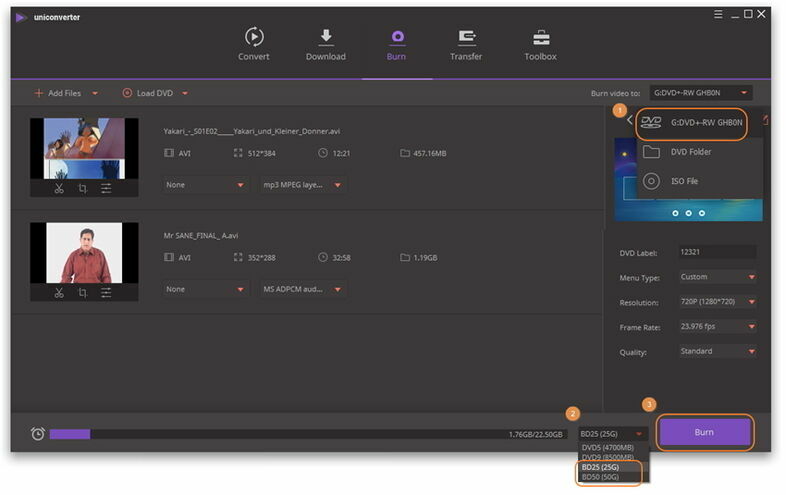 After files are added successfully, you can select the template or design of your DVD by moving the left and right arrows on the right side of the program interface. 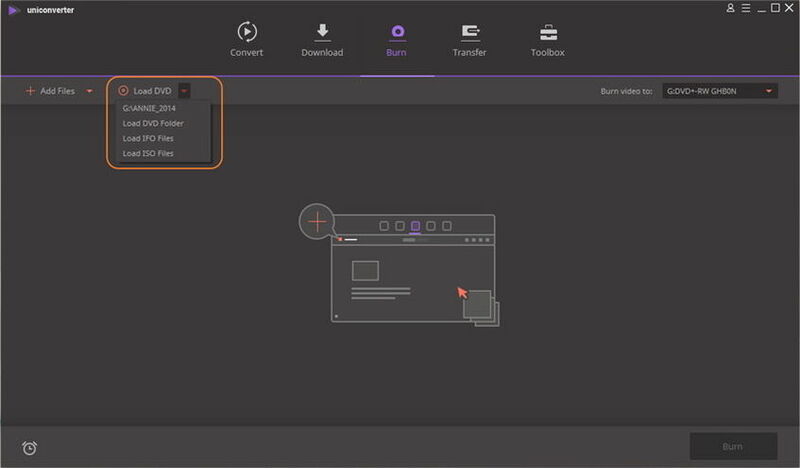 To check for more designs and to add a background image or a background video, click edit icon on the top-right corner to open a pop-up window. Step 3 Choose DVD label and other DVD settings. Enter DVD label of your choice and select DVD parameters like Menu type, Aspect Ratio, TV Standard, and Quality. Step 4 Select DVD location and burn video ts files to DVD. At the top right corner, open drop down menu at Burn Video to: tab to select the location where you want to save the videos. Finally, click Burn to start the Video_TS files burning to DVD. The Wondershare program is quick and hassles free to use. 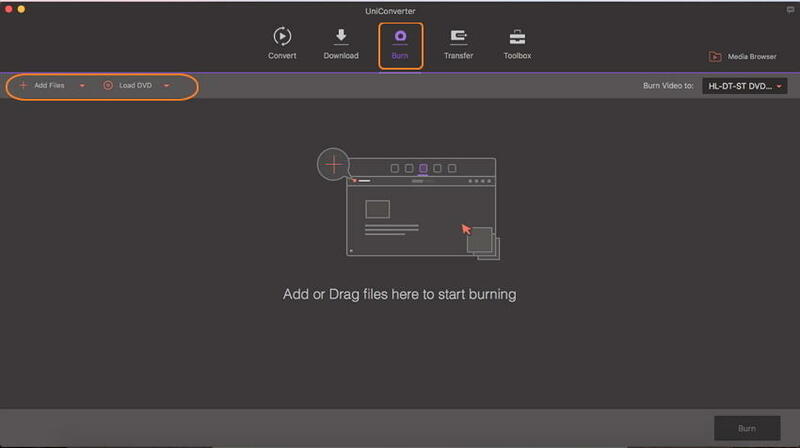 Go to burn Video_TS to DVD with Wondershare UniConverter for Mac (originally Wondershare Video Converter Ultimate for Mac) now.